You are at:Home»Active Journeys»Apres-Ski at Lake Tahoe is Hot! At Heavenly Village in South Lake Tahoe, the apres ski scene is hot! At last! It’s time to pack up the skis, snowboards and tire chains, (and the kids), as the snow piles up at Lake Tahoe. World-famous for major ski resorts, the lake is also legendary for its apres-ski scene, from “Next Gen” brew pubs to Vegas-style nightspots where snow bunnies shake their booties, and family-friendly fire pits with s’mores and hot toddies. After a long day on the slopes, apres-ski at Lake Tahoe means unwinding with a warm libation or a frosty beer around a flickering fire, as much a part of the skiing culture as the sport itself. There is something about being out all day in the bracing winter weather, and the excitement of skiing and boarding, that brings makes people want to relax and relive it. And late-night action is always available at Tahoe’s nightclubs and bars, too, but, don’t be surprised if your family and friends want to hobble off to their hot tubs, condos and cabins right after dinner! Fun on the ice in Northstar VIllage on the skating rink, surrounded by eateries, pubs and lodgings. With an annual average of 450” of snowfall and 300 sunny days most years, the steep slopes of Squaw Valley and its sister resort, Alpine Meadows, attract some of the best skiers and boarders in the world. 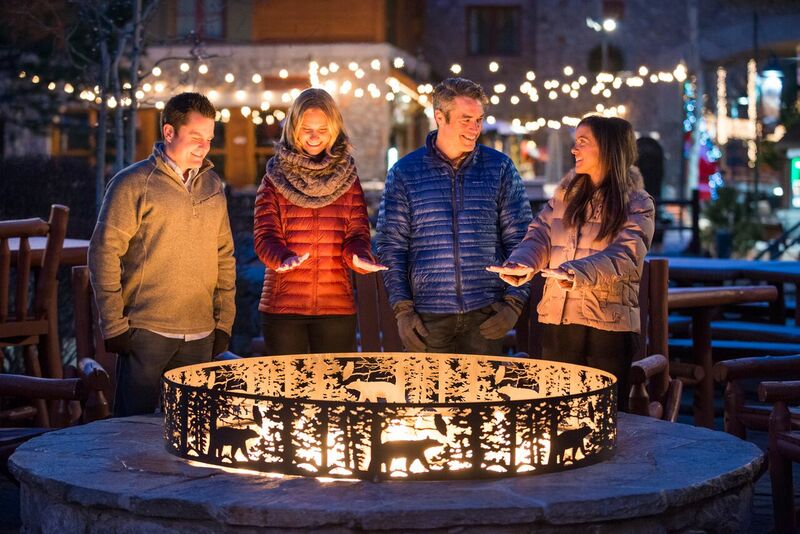 At the base of the lifts, trams and gondolas, Squaw Valley Village warms up tuckered skiers with three big fire pits, heated outdoor seating at many bars and restaurants, and live music every day. It’s feet up by the flickering flames at the old favorite Fireside Pizza, which also has indoor booths and sports-TV. Within sight of the Saturday night fireworks on the mountain, the Plaza Bar treats customers to acoustic music and a hot chocolate bar for kids, while a youngish crowd meets at Rocker@Squaw for blood orange margaritas and Irish whiskey toddies. After the lifts close at Squaw and Alpine, parents can kick back at happy hour in the Village while their pint-size Olympic hopefuls, ages 6 to 12, play around until 6 or 7 p.m. at SnoVentures, practicing on the beginner terrain, driving mini-snowmobiles on a groomed track, and snow tubing. Accessed by the Aerial Tram based in the Village, the complex at High Camp has been completely remodeled. With dazzling Sierra and lake views from 8,200 feet in elevation, the sprawling Terrace Restaurant & Bar now has a light, airy feel, while the more intimate Granite Bistro is a cozy spot for a late lunch. Tourists pull out their cameras on the observation deck above the swimming pool and hot tubs, while skiers kick back on comfy benches and sofas, and kids head for the new play area. Near the tram in the Village, those in the know linger around the cozy fireplace in the bar at PlumpJack Squaw Valley Inn (which after the ski season will close for about 18 months for a major expansion). Behind the inn in the A-frame building, Le Chamois (the “Chammy”) has filled up with apres-skiers, ski bums, and ski patrollers at the end of every snowy day since 1969. When the pro athletes are in town for NASTAR and other big races, huge crowds show up on the deck and out across the meadow. $100 gets you a “Buddy Pitcher Pass” for 10 pitchers of Bud. Beyond Squaw on the way to Lake Tahoe on Highway 89, stop in at River Ranch Lodge & Restaurant, right on a fast-flowing section of the Truckee River, for live music in the pub and happy hour specials, 5-7 p.m. on weekends. 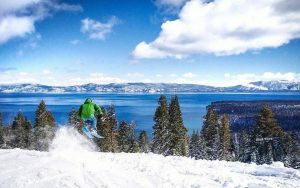 At Tahoe City, take a right around the lake and watch for Homewood Mountain Resort, a small, “old Tahoe-style,” family-oriented ski mountain. 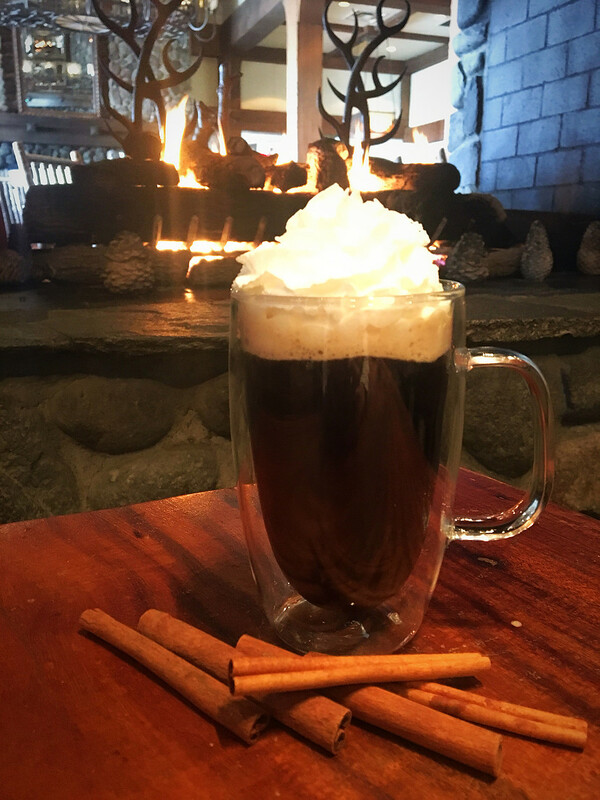 Just across the road, the West Shore Café lays out free s’mores every late afternoon at their waterfront fire pits, and takes in dog-tired skiers for happy hour with a view ($3 and $5 drinks, 3-5 p.m.). A popular warm-up is “Smokey and the Bandit,” a mescal, prickly pear and jalapeno cocktail. North from Tahoe City, both with sprawling decks and dazzling water views, Sunnyside and Gar Woods are packed to the rafters all year round. It’s martinis and music on Friday nights at Sunnyside, and on scenic Carnelian Bay, Gar Woods Grill & Pier is a West Shore icon famous for the “Wet Woody,” a stiff one comprised of rum, liqueur, and a float of two high-octane rums (on Tuesdays, they’re served with twice the rum float. . . ). Hot drinks by the fireplace at the Lone Eagle Grill at the Hyatt Regency Lake Tahoe in Incline Village. If you’re staying at Incline Village on the North Shore and/or skiing at Mt. Rose Ski Tahoe, meet your friends at the lakeside Lone Eagle Grill at the Hyatt Regency Lake Tahoe, where kids roast s’mores outdoors and parents sip on cocktails by the blazing fireplace (try the “Almond Joy,” made with coconut rum, amaretto, hot chocolate, and whipped cream). If you’re feeling lucky, try out the games and the slots in the on-site Grand Lodge Casino, one of the smaller, more upscale casinos around the lake. Off Highway 287, Northstar California caters to families, beginning and intermediate skiers and boarders, while black diamond trails and apres-ski venues appeal to the experts and the fun-lovers. Surrounded by the balconies of multi-story luxury vacation rentals, the Village at Northstar is anchored by a huge ice rink, where all ages skate free, noon-9 p.m. (rentals available). Apres-ski is lively around the ice, with fire features, s’mores roasting, live music, and cocktails served at outdoor bars and restaurants, and at pop-up Cabana Bars––everything from craft brews to hot buttered rum, and the “Dirty Snowman,” a concoction of vanilla vodka, hazelnut liqueur, hot cocoa, and whipped cream. New at rinkside, indoor-outdoor Rink Bar mixes signature cocktails until 10 p.m. At the bottom of Village Run where gangs of skiers funnel down at the end of the day, the patio of the Rock Bar has heat lamps, two fire pits, an outdoor grill and a lively après atmosphere (indoors, the mothership is the farm-to-fork restaurant Tavern 6330’). A private “VIP Platinum tōst” with bubbly, charcuterie and s’mores! A perk for grownup skiers at Northstar, on the East Ridge trail at 2 p.m. every day, “tōst” is a ski-up bar where free glasses of bubbly are handed out. 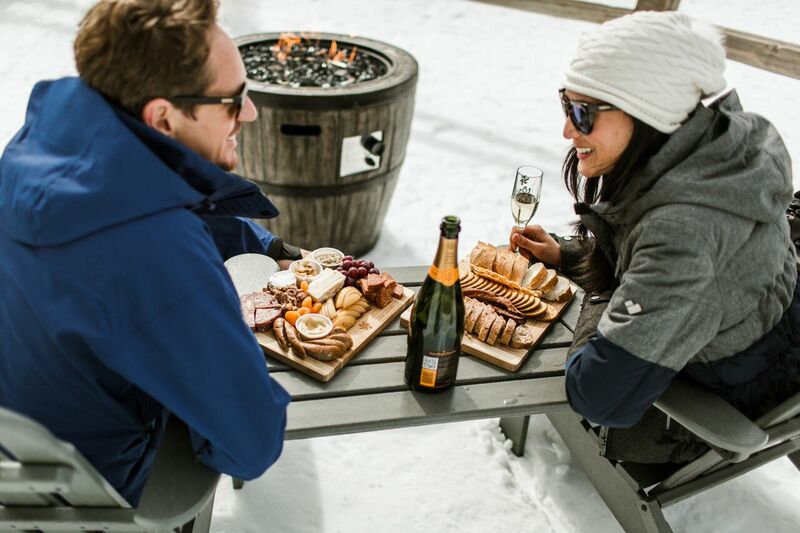 Romantic couples can also reserve private seating at the VIP Platinum tōst area to enjoy bottles of Veuve Clicquot, charcuterie boards, s’mores kits, and their own fire pit. Accessed by a free tram from the Village at Northstar, the “Living Room” bar at the Ritz-Carlton is a warren of intimate corners and fireside perches, with two-story windows affording sweeping views of Martis Valley, ski trails through a snowy forest. Blackberry-Chocolate old-fashioneds are among signature drinks. Just a few steps from Lake Tahoe Boulevard, the main street of the gaming and entertainment city of South Lake Tahoe, Heavenly Village is lift-off for the Heavenly Mountain Gondola. Skiers and non-skiing visitors hop on for thrilling 2.4-mile rides high above the ski trails to a magical winter world. (If you’re dizzy from the altitude, get off at the observation deck at 9,100+ feet and snap some great photos of the powder-dusted trees, and the lake and the city far below). The surprise at the top of the gondola, at 10,000+ feet, are the Adventure Peak snow-play area, beginner and intermediate slopes, a ski school, and a flat walk to the dazzling, glass-enclosed Tamarack Lodge, making this an incomparable destination for non-skiers, first-timers, and little ones. With 4,800-acres of skiable terrain, Heavenly Ski Resort has by far the longest ski run in the Sierras at 5.5 miles, and unlike most ski mountains, this one is steeper towards the bottom and gentler on top. Serving hearty comfort food and drink all day, Tamarack hosts happy hours and live music, 3:30-5:30 p.m. on weekdays. The family-focused atmosphere turns into a Vegas-style “Unbuckle Apres-Ski Party” on weekends, with go-go dancers, glow sticks, the rockin’ DJ Snowcat, swag giveaways and discounted snacks and drinks. The Landing Tahoe: 4104 Lakeshore Boulevard, South Lake Tahoe, CA. Ultra-luxury hotel with 77 fireplace/king rooms, jetted tubs, lakeview balconies. 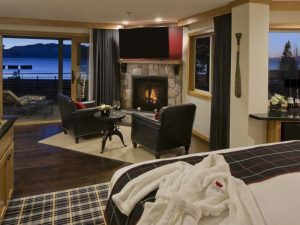 On-site gourmet restaurant, lakeside patio bar with fire features; swimming pool; ski/snowboard valet; and a full-service spa. Free shuttle to the Heavenly Gondola and around town. (855) 700-5263. Squaw Valley Lodging: 1960 Squaw Valley Road, Olympic Valley, CA. Upscale guest rooms; studio suites with kitchens; and 1-3 bedroom suites sleeping up to 8, with fireplaces, kitchens, living/dining areas. Swimming pool and hot tubs, underground parking, steps from Village eateries, bars, shops, entertainments, ski lifts and ski school. (866) 818-6963. Marriott’s Timber Lodge: 4100 Lake Tahoe Boulevard, South Lake Tahoe, CA. In Heavenly Village steps from the gondola, 1-3 bedroom condo-style units, swimming pool, fitness and activity centers; onsite FiRE + iCE Grill and Bar. (530) 542-6600. Back in Heavenly Village, every day at 2-6 p.m., skiers pour out of the gondola and into the open-air, heated terrace at Base Camp Pizza for cheap beer, micro-brew “tap takeovers,” and live music. Steps away, the flickering flames at Gunbarrel Tavern lure skiers for such exotics as grilled brie on sourdough, and Kobe beef sliders. Three large fire pits warm those tootsies at FiRE + iCE Grill and Bar, where you can order appetizers and drinks through the outdoor window. Inside, a huge, round grill anchors the entire restaurant, where you choose your own fresh ingredients for all-you-can-eat Asian-style stir-fry. Around the corner on the street side of the Village, local musicians hold forth 11 a.m. to 10 p.m. every day on the fire-feature patios at two new places, Azul Latin Kitchen, famous already for tequila flights; and California Burger Co., where boozy milkshakes and 100 whiskeys are highlights on the bar menu. When you’re ready to raise the excitement level, walk up the street to Montbleu Resort Casino, where the over-the-top Opal Ultra Lounge promises scantily-clad disco dancers, a super-energized DJ, and body painting, on weekends until dawn. Just across the street at the Hard Rock Hotel and Casino, Alpine Union Restaurant sports large outdoor fire pits, micro-brews, and comfy sofas—catbird seats for people-watching until 2 a.m.
Away from the madding crowd and the perfect hideaway for an apres-ski proposal or a romantic getaway, a block or so from Heavenly Village, The Landing Tahoe has a heated lakeside patio and a quiet, clubby bar. Or, if you’re heading south out of town, the Riva Grill at Ski Run Marina remains a long-time favorite for the waterfront location and the happy hour action on Friday nights, with live music, giveaways, and food/drink specials. Have you been to Tahoe this winter? Click here to let us know about your snowy adventures. Any eats, sleeps or ski resorts to recommend?